If It's Hip, It's Here (Archives): Watch & Warm. 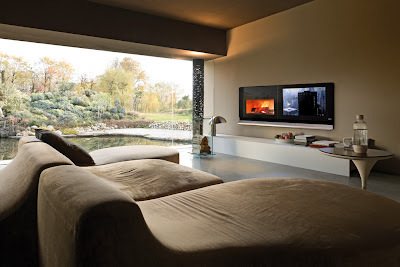 A Flat Screen TV And Fireplace In One. Watch & Warm. A Flat Screen TV And Fireplace In One. 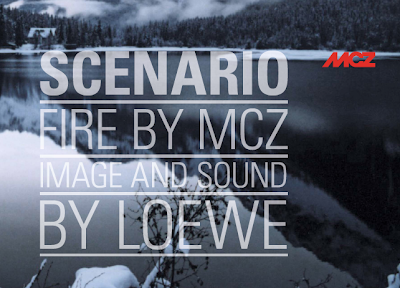 The Scenario from MCZ and Loewe combines sound, image and heat. 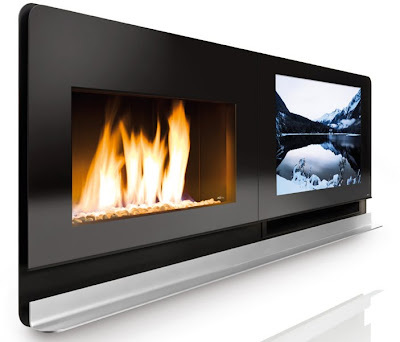 A fireplace that incorporates a flat screen LCD TV complete with audio speakers. 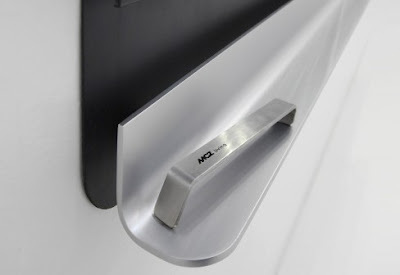 The front cladding is made of tempered glass with a painted steel shelf and painted black steel framework. Scenario integrates a closed fireplace (either the wood-burning Vivo 90 Wood or the gas burning Forma 95 Gas) and a Loewe 37" LCD TV complete with two 60 W speakers. 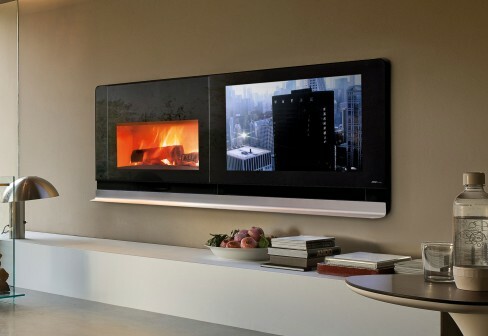 It also comes with a rail for remote controls (which are included for the tv and the gas burning fireplace) and comes in an integrated cabinet for a dvd player or a satellite receiver, etc. Have you read any of the reviews on this product? 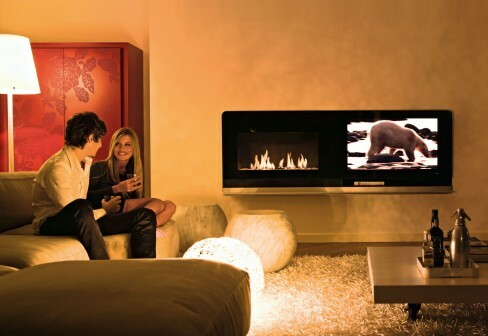 I've always wondered about the heat of the fire affecting the TV, whether it is close to or mounted above the fireplace. The Scenario is nifty and all but I really want to know where to get those lounge chairs in the 4th picture. Wonderful post! Thanks for sharing your knowledge with us! Hope to read more from you!This is really amazing bit of reading. I will visit soon again your web site for other informative information.I will buy next Plasma LCD TV for my Living room. Am also didnt read the reviews related to this yet. Plz provide the link.